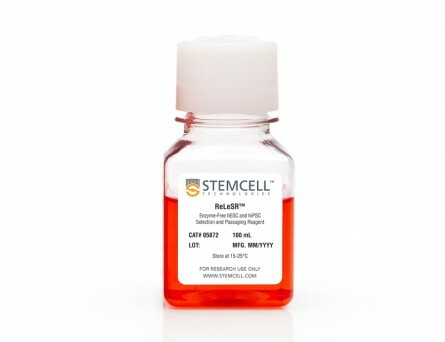 CellAdhere™ Laminin-521 is a defined, xeno-free cell culture matrix that supports the long-term maintenance of human embryonic stem (ES) cells and induced pluripotent stem (iPS) cells in feeder-free conditions. Using CellAdhere™ Laminin-521 as a cell culture matrix increases single-cell attachment and survival compared to other matrices and does not require the addition of apoptotic inhibitors during plating. (Lu HF et al. ; Rodin S et al. ; Rodin S et al.) 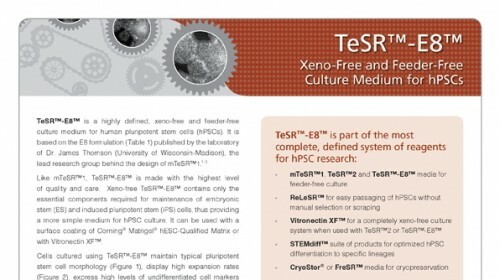 When used with mTeSR™1 (Catalog #85850), TeSR™2 (Catalog #05860) or TeSR™-E8™ (Catalog #05940), the system allows complete control over the culture environment, resulting in consistent cell populations and reproducible results in downstream applications. NOTE: Although it is possible to passage human ES and iPS cells as single cells, this can result in selective pressure that could lead to genetic aberrations. (Draper JS et al. ; The International Stem Cell Initiative; Garitaonandia I et al.) If passaging as single cells, check the karyotype frequently. Increased risk of genetic and epigenetic instability in human embryonic stem cells associated with specific culture conditions. 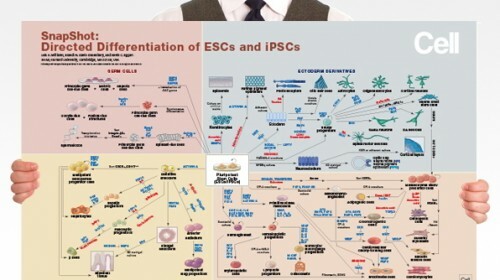 The self-renewal and differentiation capacities of human pluripotent stem cells (hPSCs) make them a promising source of material for cell transplantation therapy, drug development, and studies of cellular differentiation and development. 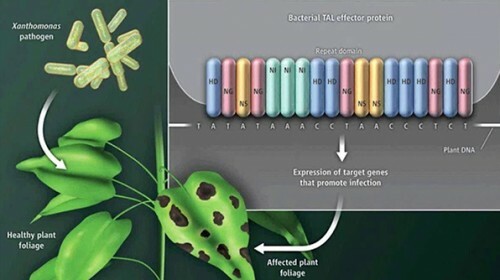 However, the large numbers of cells necessary for many of these applications require extensive expansion of hPSC cultures, a process that has been associated with genetic and epigenetic alterations. We have performed a combinatorial study on both hESCs and hiPSCs to compare the effects of enzymatic vs. mechanical passaging, and feeder-free vs. mouse embryonic fibroblast feeder substrate, on the genetic and epigenetic stability and the phenotypic characteristics of hPSCs. In extensive experiments involving over 100 continuous passages, we observed that both enzymatic passaging and feeder-free culture were associated with genetic instability, higher rates of cell proliferation, and persistence of OCT4/POU5F1-positive cells in teratomas, with enzymatic passaging having the stronger effect. In all combinations of culture conditions except for mechanical passaging on feeder layers, we noted recurrent deletions in the genomic region containing the tumor suppressor gene TP53, which was associated with decreased mRNA expression of TP53, as well as alterations in the expression of several downstream genes consistent with a decrease in the activity of the TP53 pathway. Among the hESC cultures, we also observed culture-associated variations in global gene expression and DNA methylation. The effects of enzymatic passaging and feeder-free conditions were also observed in hiPSC cultures. Our results highlight the need for careful assessment of the effects of culture conditions on cells intended for clinical therapies. Monolayer culturing and cloning of human pluripotent stem cells on laminin-521-based matrices under xeno-free and chemically defined conditions. 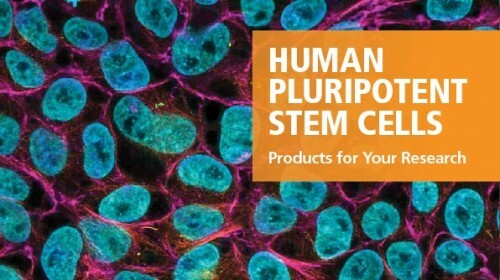 A robust method for culturing human pluripotent stem (hPS) cells under chemically defined and xeno-free conditions is an important tool for stem cell research and for the development of regenerative medicine. Here, we describe a protocol for monolayer culturing of Oct-4-positive hPS cells on a specific laminin-521 (LN-521) isoform, under xeno-free and chemically defined conditions. The cells are dispersed into single-cell suspension and then plated on LN-521 isoform at densities higher than 5,000 cells per cm², where they attach, migrate and survive by forming small monolayer cell groups. The cells avidly divide and expand horizontally until the entire dish is covered by a confluent monolayer. LN-521, in combination with E-cadherin, allows cloning of individual hPS cells in separate wells of 96-well plates without the presence of rho-associated protein kinase (ROCK) inhibitors or any other inhibitors of anoikis. Characterization of cells maintained for several months in culture reveals pluripotency with a minimal degree of genetic abnormalities. A defined xeno-free system for patient-specific iPSC derivation and differentiation is required for translation to clinical applications. 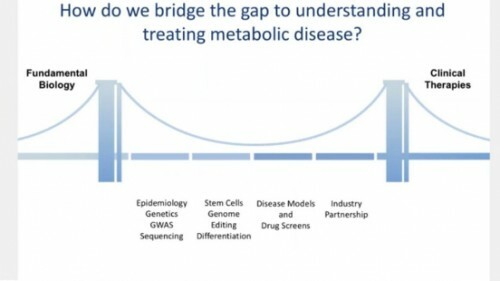 However, standard somatic cell reprogramming protocols rely on using MEFs and xenogeneic medium, imposing a significant obstacle to clinical translation. Here, we describe a well-defined culture system based on xeno-free media and LN521 substrate which supported i) efficient reprogramming of normal or diseased skin fibroblasts from human of different ages into hiPSCs with a 15-30 fold increase in efficiency over conventional viral vector-based method; ii) long-term self-renewal of hiPSCs; and iii) direct hiPSC lineage-specific differentiation. Using an excisable polycistronic vector and optimized culture conditions, we achieved up to 0.15&percnt;-0.3&percnt; reprogramming efficiencies. Subsequently, transgene-free hiPSCs were obtained by Cre-mediated excision of the reprogramming factors. The derived iPSCs maintained long-term self-renewal, normal karyotype and pluripotency, as demonstrated by the expression of stem cell markers and ability to form derivatives of three germ layers both in vitro and in vivo. Importantly, we demonstrated that Parkinson's patient transgene-free iPSCs derived using the same system could be directed towards differentiation into dopaminergic neurons under xeno-free culture conditions. 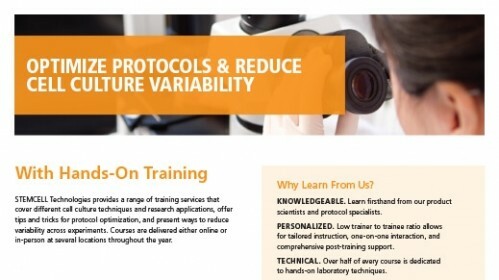 Our approach provides a safe and robust platform for the generation of patient-specific iPSCs and derivatives for clinical and translational applications. textcopyright 2013 Elsevier Ltd. Lack of robust methods for establishment and expansion of pluripotent human embryonic stem (hES) cells still hampers development of cell therapy. Laminins (LN) are a family of highly cell-type specific basement membrane proteins important for cell adhesion, differentiation, migration and phenotype stability. 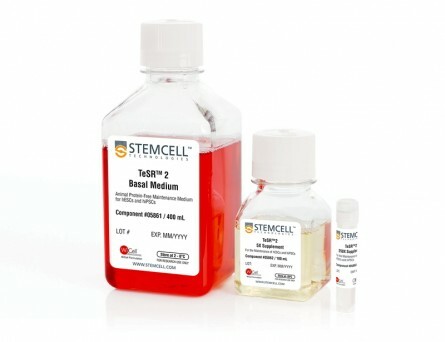 Here we produce and isolate a human recombinant LN-521 isoform and develop a cell culture matrix containing LN-521 and E-cadherin, which both localize to stem cell niches in vivo. This matrix allows clonal derivation, clonal survival and long-term self-renewal of hES cells under completely chemically defined and xeno-free conditions without ROCK inhibitors. 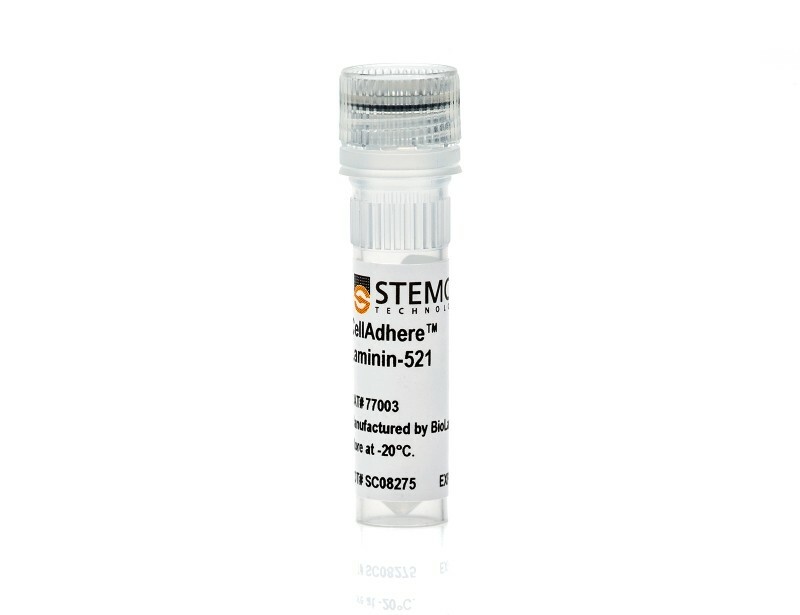 Neither LN-521 nor E-cadherin alone enable clonal survival of hES cells. The LN-521/E-cadherin matrix allows hES cell line derivation from blastocyst inner cell mass and single blastomere cells without a need to destroy the embryo. This method can facilitate the generation of hES cell lines for development of different cell types for regenerative medicine purposes. The International Stem Cell Initiative analyzed 125 human embryonic stem (ES) cell lines and 11 induced pluripotent stem (iPS) cell lines, from 38 laboratories worldwide, for genetic changes occurring during culture. Most lines were analyzed at an early and late passage. Single-nucleotide polymorphism (SNP) analysis revealed that they included representatives of most major ethnic groups. Most lines remained karyotypically normal, but there was a progressive tendency to acquire changes on prolonged culture, commonly affecting chromosomes 1, 12, 17 and 20. DNA methylation patterns changed haphazardly with no link to time in culture. Structural variants, determined from the SNP arrays, also appeared sporadically. No common variants related to culture were observed on chromosomes 1, 12 and 17, but a minimal amplicon in chromosome 20q11.21, including three genes expressed in human ES cells, ID1, BCL2L1 and HM13, occurred in textgreater20&percnt; of the lines. Of these genes, BCL2L1 is a strong candidate for driving culture adaptation of ES cells.